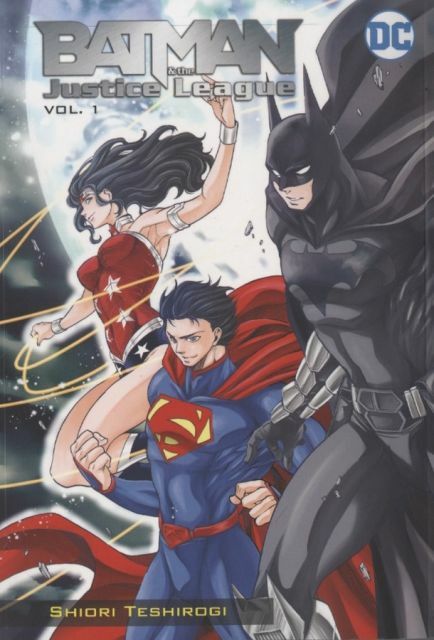 From mangaka Shiori Teshirogi (Saint Seiya: The Lost Canvas) comes a new series starring Batman and the Justice League. Currently being serialized in the monthly Japanese anthology Red, the story focuses on a young boy who comes to Gotham City from Japan. He's trying to solve the mystery of what happened to his scientist parents after their disappearance following a factory explosion a year earlier. As it turns out, the factory was owned by Lex Luthor, who has now teamed with The Joker. Together, they plan on using the research of the boy's parents to tap into a mystical, all-powerful, worldwide energy source. But for what purpose? It's a bigger challenge than Batman can handle on his own, so he's going to need some help from the League. This series will be published in the original manga right-to-left format. Diesen Artikel haben wir am 18.10.2018 in unseren Katalog aufgenommen.